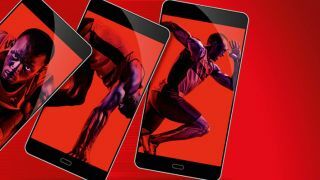 Virgin Media added 25,000 mobile customers during the most recent quarter, bringing its total user base to 3.1 million, and increasing its proportion of postpaid subscribers, the company has revealed. The Liberty Global-owned operator secured contact additions of 69,000 – an 87 per cent increase year-on-year – but this was offset by a 44,000 reduction in pay as you go customers. However, given these traditionally generate less revenue than contracts, Virgin is likely to be happy, especially given it launched targeted mobile plans for existing cable customers in February. Virgin Media has 2.6 contract customers and 470,000 pay as you go users. Virgin Mobile was the first MVNO when it launched in 1999, using what was then One2One’s network to power its services. It renewed its wholesale deal with EE last year, allowing Virgin to build a ‘thick’ MVNO with greater control over billing, SIM provision and other network components. This means it’s easier for Virgin Media to rollout new services, avoiding a repeat of the delayed launch of 4G, which only took place in late 2016. Nearly two thirds of its user base is now on 4G. A fifth of all customers have now been migrated to its new full mobile virtual network operator (MVNO) platform. Elsewhere, Virgin Media has 5.9 million cable customers, of which nearly two thirds take at least three services from the provider. It added 111,000 new properties to its cable network over the past three months as part of Project Lightning, it’s £3 billion expansion programme, bringing the total number of additions to 1.2 million, and its overall reach to 15 million homes and businesses. Revenue for the quarter reached £1.3 billion.